Pre-orders for the Apple Watch finally opened today, just seven months after the smartwatch was first announced. The Apple Watch starts at $349 for the baseline 38mm Apple Watch Sport, with the most expensive 18-karat gold Apple Watch Edition models retailing for $17,000. For the lucky few that managed to pre-order their Apple Watch within a few minutes of pre-orders opening, the device will ship on April 24. However for many others, especially those purchasing models with more expensive bands, shipping times have already slipped by anywhere from four weeks to two months, with some unlucky buyers having to wait until June to get their Watch. Those who are prepared to fork out the most for an Apple Watch Edition will also have to wait the most, as Apple won't be shipping their luxury models until July or August. 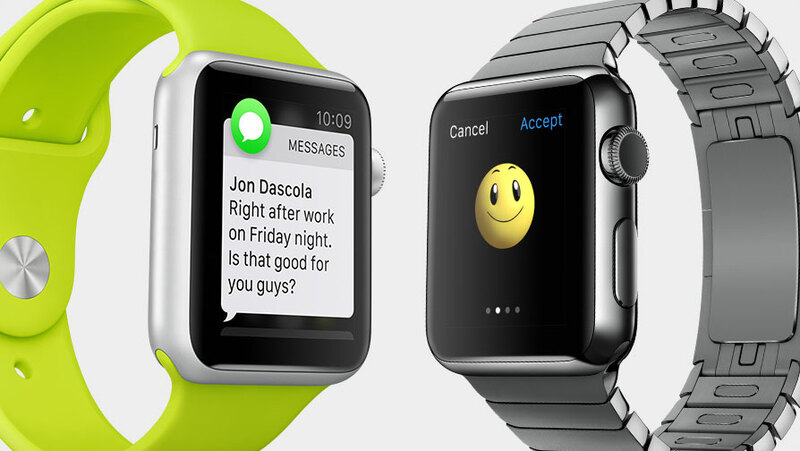 However, Apple will have plenty of Apple Watches available in their retail stores to test out and try on. The company's new Concierge website is now available, which lets you schedule an appointment to fit the watch and select a model. Alongside the Watch, Apple has also begun selling the all-new MacBook, which was announced last month. The ultra slim 12-inch laptop with a Retina display and single USB-C port will start shipping from today.